For evaluation purposes I wanted to run Activiti BPM Platform on an Apache Tomcat 7 which is connected to IIS 8 using ajp13. I decided to use the Apache Tomcat Connector to connect Apache Tomcat 7 to IIS 8. As a prerequisite I installed Apache Tomcat 7 as a service (download tomcat 7). 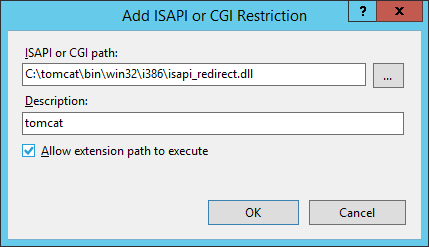 To set up the connection I followed the steps described in section Configuring the ISAPI Redirector of the IIS HowTo. Instead of creating a registry key as described in step 1 to 6 I placed the following properties file in the same directory as the isapi_redirect.dll file (c:\tomcat\bin\win32\i386\). 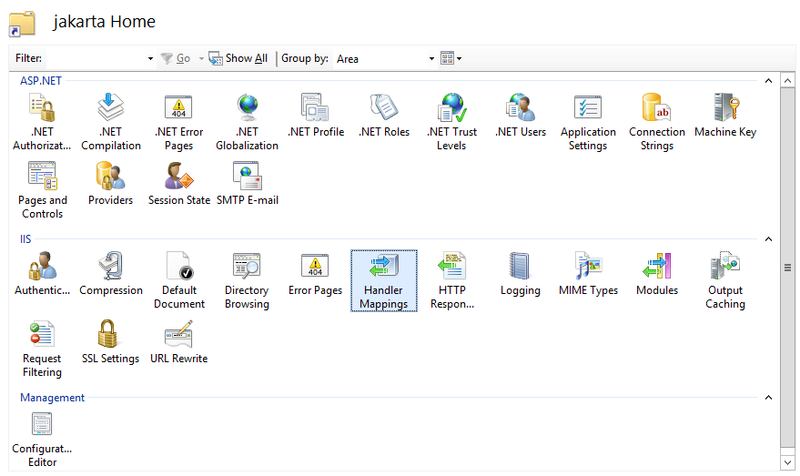 While creating this new virtual directory assign it with execute access. There was no closer description how to perform the assignment of execute access. It cost me some time and caused me some troubles to find it out. The subsequent pictures show the detailed steps to assign execute access to the virtual directory. 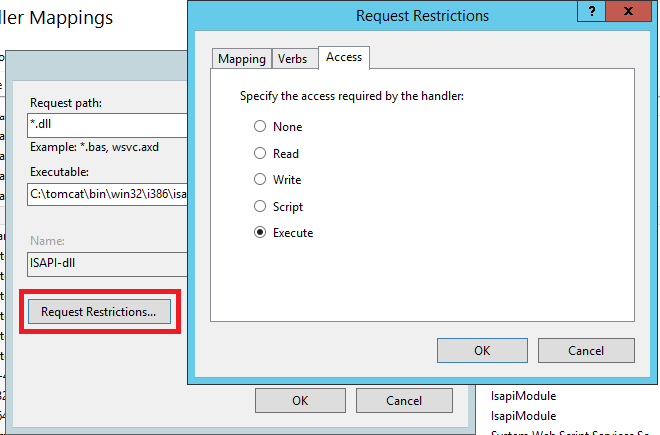 To get the things up and running on IIS 8 I additionally had to add an ISAPI restriction as shown in the screenshots below. 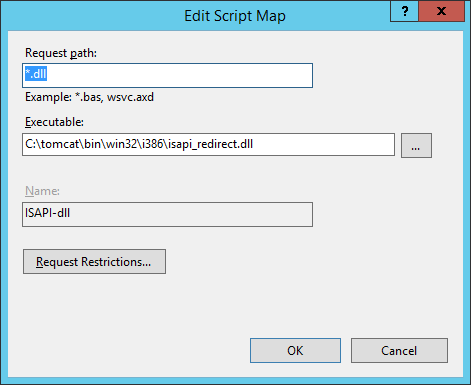 Using the following properties files in combination with the isapi_redirect.dll will enforce IIS to redirect all requests done to the activiti explorer and to the activiti REST endpoint to the Apache Tomcat 7 instance defined as worker1. Thanks for the hint. I tried a few things. To be honest I don’t know if BonCode was part of my trials as it’s been way too long since I did the try out. Your hint about “execute access” just save me a lot of time! And the hint about file instead of registry keys seems to me more convenient way.